Offshore Post is the online home of the global offshore energy industry. Trusted by the industry’s fastest growing user base of top professionals, Offshore Post covers both traditional and renewable energy sectors worldwide. "To Inform and To Facilitate All Within Our Industry In Achieving Greater Business"
We believe in high quality authoritative original content. All news and information is published daily by our in-house editorial staff- journalists with experience in the global offshore energy sector. We don't believe in the Cut and Pasting of press releases. We believe that greater access to information and a greater spread of knowledge benefits us all. Charging users for access stops this and limits the ability to ‘Inform and Facilitate’. 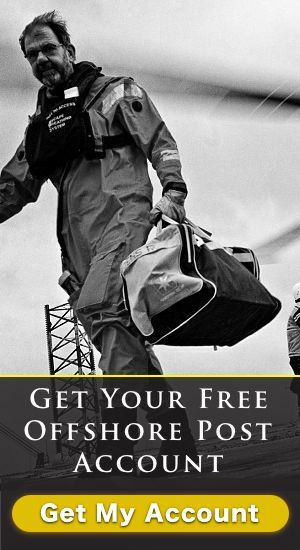 Therefore all content and user services at Offshore Post are both free to view and free to use. The world has changed. Gone are the days of waiting for information to be published in print or having to find a desktop computer to download and view digital copies. The world over people need information instantly, whilst on the move, in any location and around the clock. The global offshore energy industry is no different. Whether its News; Business Directory; Jobs; White Papers; Product Videos; at Offshore Post all content is available across all devices. Collaboration remains key to facilitating our industry achieve greater business. We are always open to helping anyone within our industry realise a goal that would benefit others. Whether you’re an individual with a great idea or a company requiring assistance marketing your new products and services? Either through our own services, or assisting you make contact with with key industry figures that can further bring your products and ideas to fruition, feel free to contact us for support.